I read a lot on vacation! 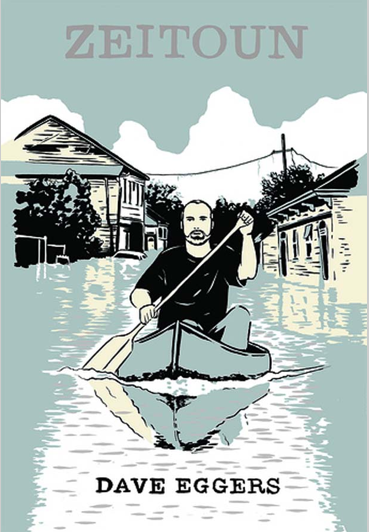 Zeitoun is the book from this year that I’d be most likely to recommend far and wide to all types of readers. I was exhilarated and riveted by Dave Eggers’s re-telling of the story of one successful New Orleans house-painter’s experience during Hurricane Katrina. The painter, Zeitoun, stayed in town to oversee the properties he managed. Eggers’s telling of the storm and the flood is enormously evocative and beautiful. And then things get crazy. It’s a story every American should hear, wonderfully written and told, and a bold and impressive feat of research and non-fiction come to novelistic life. I am not a huge Dave Eggars fan but based on this review I will have to revisit him. I read this and completely agree with you. A very evocative and compelling book!